150 L capacity two basin electric vegetable washer. Manual basket tilting available on request. 225 L capacity three basin electric vegetable washer. 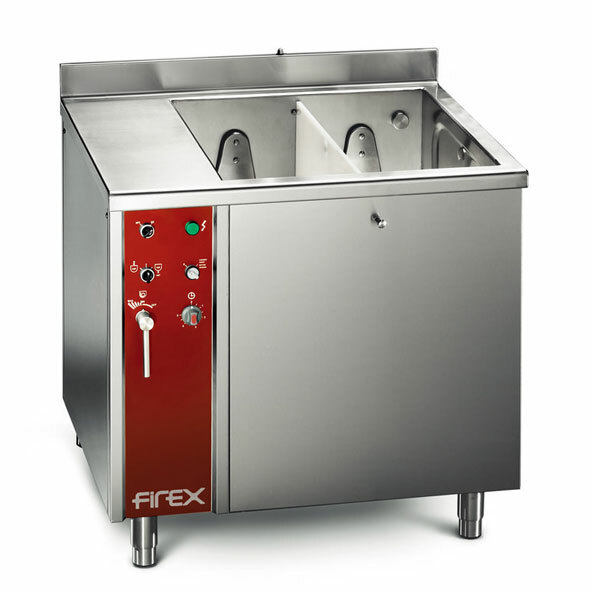 300 L capacity four basin electric vegetable washer.